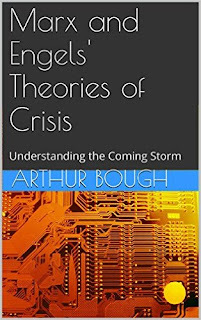 is more or less a paraphrase of the statement in the introduction to my book, “Marx and Engels Theories of Crisis”. “We tend to think that crises are an indication that something has gone wrong, because they disrupt the normal course of events, but, in fact, crises themselves are normal events. There is nothing abnormal about an earthquake, for example. It is simply a means by which the stresses of tectonic plates, and other geological formations are relieved. This kind of process occurs throughout the material world. There are long periods of gradual change, ruptured, every so often, by revolutionary breaks. It is a reality recognised by chaos theory, which demonstrates that what appears on the surface as a steady state, is, in reality, a seething mass of continual change at a quantum level. The issue I have tried to address, in my own work, is what is the dynamic that drives the periodicity of the long wave? 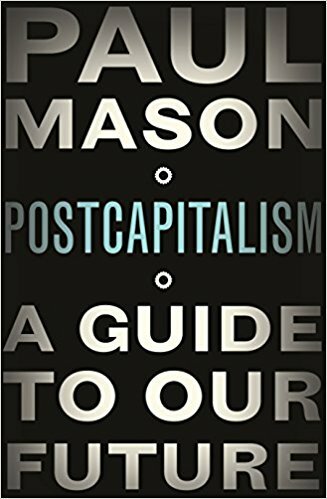 As Paul notes, Kondratiev, following Marx's work on the business cycle, and the life cycle of fixed capital, put forward the idea that it is related to the life cycle of more durable forms of fixed capital, and infrastructure. Trotsky had proposed that it is exogenous factors, such as wars and revolutions, whilst Schumpeter pointed to the role of technology and the Innovation Cycle. None of these are satisfactory explanations; they all require some other driver. The problem with Trotsky's approach is, if the long wave cycle is conditioned by exogenous events like wars and revolutions, why would it have any periodicity at all? The problem would then become, why do wars and revolutions and so on occur in 50 year cycles? The problem with Kondratiev's notion about the replacement of more durable fixed capital, such as canals, railways and so on, is that, as Marx describes, the major element of their reproduction takes the form of a continual programme of repairs. Unlike a machine that lasts for ten years, and is then physically replaced, the canals built 250 years ago, are still in use, and the railways built 200 years ago are still in use. 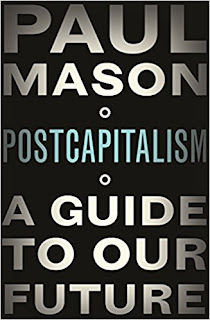 The question of this infrastructural fixed capital is significant, however, for reasons I will come to later, and which Marx himself addressed in Theories of Surplus Value, Chapter 9. Moreover, Kondratiev faces the same question, effectively, as Schumpeter, whose answer was the role of technological innovation, which is – why now? In other words, why is it that there exists an Innovation Cycle at all, with there being, as Marx describes, long periods where technological change is slow and incremental, interspersed with periods where rapid new technological advancements are made? Paul correctly locates the answer to this question in the Marxist theory of crisis, and the fall in the rate of profit, which he sets out in Chapter 3, which then enables him to examine the last and current cycles within that framework in Chapter 4. Unfortunately, Paul's analysis of the fall in the rate of profit, and the theory of crisis is wrong, which I will deal with in those respective chapters.